Drinking water every day isn’t always all that glamorous. In fact, your senior might avoid drinking even a fraction of the water that she really should be drinking in order to keep herself healthy. So how can you help her to get enough fluids into her without fighting with her about it? The more available water is, the more likely your senior is going to be to drink it. Keep a glass of water near her bed at night and offer water at meals. Your senior may sometimes avoid drinking water simply because she doesn’t think about it. When it’s right there and impossible to overlook, your elderly family member might reach for a glass of refreshing water more often than she did before. There’s more to proper hydration than just water. Your senior might enjoy warm beverages, such as herbal tea or even low-sodium chicken broth. These types of beverages can hydrate her well and still satisfy her taste buds. Sports drinks, meal replacement beverages, and even popsicles can all do the job, too. You might just need to be a little more creative with the beverages you offer. For some aging adults, the container makes a big difference. She might not enjoy drinking water out of a bottle, but maybe she’ll drink water from a coffee cup. It’s not really important what your elderly family member drinks out of so much as getting the fluids into her on a regular basis. So if she likes a container that seems a little odd to you, that’s not that big of a deal. 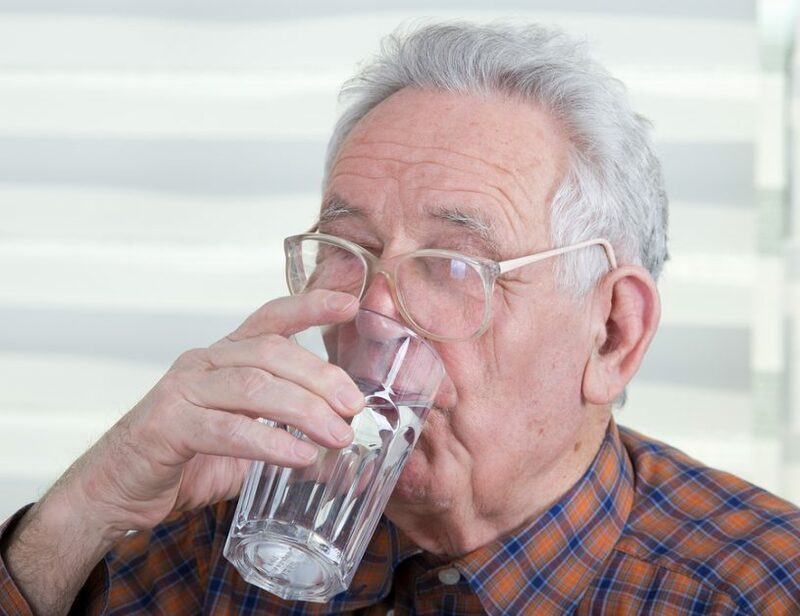 An elderly family member who has trouble swallowing might not be able to deal well with water or other thin beverages. Try thickening them or offering your senior milkshakes or smoothies. These are great beverages to sneak other nutrients into via fruits and vegetables. If she enjoys the flavors, your elderly family member might not really notice that her chocolate shake also has spinach in it. If you’re still battling with your elderly family member about drinking more fluids, try working with home care providers on the task. They often have a lot of experience helping caregivers and aging adults deal with hydration issues. They can give you some tips that might work better with your senior’s specific situation. If you or an aging loved one are considering Home Care in Freehold Towns, NJ, please contact the caring staff at Lares Home Care 888-492-3538 or 732-566-1112.